What are stucco shop drawings? Who should prepare stucco submittals and shop drawings? Stucco can be a paradox. While on the one hand stucco appears inert and low-tech and primarily brings certain aesthetic qualities to a building, today’s stucco wall cladding is an increasingly technically complex and dynamic system of generic and proprietary components and systems combined in various ways that are constantly developing each day. Consider that a stucco wall cladding system may be installed by several different trades, interfaces with a plethora of other adjacent systems, assemblies and components, and all that requires considerable coordination. Gone are the days when one can simply hire a plasterer to ‘put on the stucco’ and everyone will be happy. The more complex things are in construction, the greater the possibility of complications, unsatisfied expectations and even failures. Submittals and shop drawings are standard and effective quality assurance and quality control practices implemented early in the building construction process that ultimately benefits a construction project as a coordination tool. The construction industry routinely implements submittals and shop drawings for other complex systems including curtain walls, window/door systems, mechanical systems, structural steel framing, sheet metal flashings, roofing systems, precast and GFRC wall claddings, casework, paving and flooring, and other disciplines. Specifying and completing a submittals and shop drawings process as a requirement for stucco is not only appropriate for any project with stucco, it should be a necessity considering the realities and demands of today’s construction environment. Visit the StuccoMetrics Reference Archives webpage for cited references and further information. Acknowledgement to my colleague Robert Bateman, AIA at Simpson, Gumpertz and Heger, for the suggestion of implementing a shop drawings approach in the stucco design, contracting and delivery process. Significant precedent exists in the building construction environment supporting the value of submittals and shop drawings to complex systems that require coordination with other work on a jobsite. Bottom line is that owners and architects can be pretty focused on the qualities, characteristics and detailing of the stucco, because it is a permanent finish. Those closest to stucco installation can provide through shop drawings and submittals, the benefit of their technical experience with materials and detailing to benefit the stucco system installation with a level of detail beyond what the design professional of record typically is knowledgeable about or provides. However, the stucco industry has little experience with the benefits and requirements of shop drawings for stucco cladding system. Stucco is a complex exterior wall cladding system replete with high expectations for aesthetics, performance and durability from every stakeholder with an interest in stucco. Stucco is a system of generic products and materials provided by various different manufacturers, site assembled in weather-conditions that are sometimes challenging to providing the best results. In part, stucco depends on systems provided by others to succeed. Framing, substrate and perimeter conditions. Windows, doors and louver assemblies. Pipe penetrations. Copings, eave gutters and flashings. The WRB and drainage provisions. Jobsite coordination for material staging, scaffolding and utilities, clean-up. The communication and coordination of stucco’s requirements are essential if stucco is has any chance of meeting its objectives and expectations. If you are reading this, you are undoubtedly familiar with stucco cladding installations on a detailed level. Can you imagine designing, constructing and evaluating a curtainwall, structural steel framing, precast concrete, GFRC, cabinetry or other complex construction system without good, complete, coordinated construction drawings, specifications, submittals and shop drawings? That is an absurd proposition and recipe for disaster. Why should stucco as a complex system, as interrelated with other complex systems as it is, be approached any differently? Specified or otherwise provided stucco submittals have traditionally been extremely basic and stucco shop drawings virtually non-existent on most construction projects. The stucco industry at large is not familiar with or adept at preparing shop drawings, or of the shop drawing submittal and review process. This is a significant weakness in the stucco industry and will be a requirement, near-term, for the stucco industry to survive, thrive and be competitive with other exterior wall cladding systems. Using limited plan notes and details for stucco may not and probably will not yield satisfactory results except on the most rudimentary of projects with minimal expectations. For smaller projects it is common to include only limited information such as a few notes on the drawings like “7/8 in thick, 3-coat stucco with acrylic finish”, and minimum detailing with casing beads, SMJS subassembly locations and a weep screed, maybe, if you are lucky. You are on your own with this approach, guessing and assumptions are involved about everything else required, and it may not be defensible if differences of opinion or other problems arise. Take what you get with this approach, because this stucco installation will likely not be completely satisfactory. 1. Are weep screed splices and corners dry-lapped or sealed watertight? 2. How does a weep screed terminate at a hollow metal door jamb or at a projecting balcony corner-to-wall? 3. How does a casing bead at a window jamb intersect the window head flashing? 4. How are lath accessories detailed at window/door recesses? 5. Are casing beads used as flashings and integrated into the WRB? 6. How are SMJS and BMJS subassemblies installed to assure their function? 7. What lath accessories and detailing are needed at electrical/mechanical penetrations, at surface mounted utility boxes etc., and how does the location of these items coordinate with other components? 8. If, how and under what conditions are shims at lath accessories used? 9. How are extruded aluminum lath accessories fastened, how do they intersect, splice and terminate, and how is thermal expansion/contraction accommodated? 10. How are shiner/spinner lath fasteners inspected and addressed? 11. What are the criteria for evaluating the acceptability of cracks, planar tolerance of the substrate and finish, and color and texture uniformity? 12. How does the stucco system and its assemblies, subassemblies, components and its interface with adjacent systems such as thickness build-ups at flanged windows and waterproofing? 13. What are owner maintenance requirements? The approach of involving a professional stucco consultant can be a good and cost effective solution. The traditional design approach as above can be more effective with the involvement of a professional stucco consultant during design and construction. The consultant can peer review design and construction documents and make recommendations for the stucco system and installation during schematics, design development, construction drawings and specifications preparation and make site visits to review the work in progress to keep the architect and owner advised and assist in resolving conflicts. While the architect assumes all professional liabilities for this approach, it substantially reduces the risks and satisfies a professional standard of care. Any time is an excellent opportunity to engage the stucco consultant to review and update the office standard stucco details and specifications used on all projects, to avoid repeating errors in the future. Stucco shop drawings eliminate guesswork and unknowns – its planning the work, to make working the plan go easier. Preparing them requires pre-thinking the work in thorough detail, and indicating how the stucco contractor intends to comply with the specified contract requirements including workmanship standards. The cost to prepare stucco shop drawings is much less than the cost to resolve stucco problems occurring during or after stucco installation. Stucco shop drawings provide the required level of detail to perform the work not fully depicted in the architect’s contract documents. The drawings and specifications are an important part of the construction contract and are created to describe the architects intentions, but an architect’s standard of care does not require that every condition be designed, detailed or coordinated, only that the architect’s intent be ‘reasonably inferable’ which may be interpreted differently by different stakeholders. Best to get this clarified before beginning work, by means of architect approved shop drawings. Stucco shop drawings document and communicate acceptable substrate requirements for stucco. With the criteria communicated to the other project team members, potential problems can be avoided. A stucco contractor should not be required to install stucco over an unacceptable substrate, at least not without additional coordination, time and compensation for repairs if corrections are needed. Stucco shop drawings define the criteria for an acceptable substrate for the general contractor to coordinate with the concrete, framing and other project subcontractors before it becomes an issue. Stucco shop drawings indicate all surfaces requiring stucco. Occasionally, surfaces requiring stucco and the required lath accessories and finishes are not depicted on the architectural drawings. Examples are roof penthouse and roof facing parapet walls, walls in recessed pockets, building jogs ad recesses, or at distant planes of a section drawing, ceiling/soffit conditions shown in section but not in plan and the wall return surfaces of stucco clad arcades. Stucco shop drawings indicate all stucco locations and coordinate terminations and lath accessories as they turn corners and intersect other Work. Stucco shop drawings clarify the different materials, finishes and textures required and their locations. Stucco shop drawings include a complete description of substrates, lath and lath accessories materials, fasteners and other required lath accessories and any special lath accessory finishes required. Transitions and intersections of lath accessory and the stucco assembly and its relationship to Work by others depicted for coordination only, is clearly indicated. Stucco shop drawings clarify finish coat materials and textures required and their locations. Contemporary buildings are being designed with multiple colors and textures and determining which combination goes where, and coordinating their intersections, can be easily clarified on stucco shop drawings. Stucco shop drawings describe conditions conforming to or exceeding Minimum Stucco Industry Standards and manufacturers requirements. Stucco shop drawings depict how the stucco contractor will conform to the architects specified requirements and, where necessary, identify proposed alternatives that can be discussed with the architect using the RFI or substitution request processes. Stucco shop drawings clarify and resolve conflicts before they escalate. Despite the architect’s best intentions, contract drawings and specifications can omit or be silent about important information, can conflict, can specify unavailable materials and can reference obsolete practices or standards and other issues. Stucco shop drawings prepared by professionals experienced with stucco proactively resolve potential issues. The stucco industry is one of the few construction industries and one of the most complex, that has not yet integrated shop drawings into standard practice. ‘Submittals’ is the broad term that describes specified items that are in essence communication tools that generally include product data, material samples, manufacturer’s installation instructions, shop drawings and more. When specified, the contractor must submit the required submittals to the architect as an initial contract required process before the work begins, the primary purpose of which is to communicate and coordinate the contractors understanding of the contract requirements to the architect (and hence the owner) and the project team. Submittals are a process that assists in managing scopes of work and facilitates the review and approval of the architect and owner of the work. Common stucco submittals include product data, samples of finish coat colors and textures and sometimes samples of lathing/lath accessory materials, but these limited submittals are not adequate to address the needs in today’s stucco delivery environment. More information needs to be shared and coordinated amongst related trades and more detail is needed to ensure the quality and performance expectations of stucco specified is achieved. · Product data, manufacturer’s installation instructions, MSDS for every material and component, only items specified. When the submittal item indicates options for materials, finishes, colors, dimensions, perforated/non-perforated etc., clearly indicate which options will be provided. When providing submittals, be specific about what is being submitted, do not submit the entire product catalog of a manufacturer or reams of unrequested information. When a catalog page with multiple parts is submitted, clearly indicate which items are being provided. · Stucco mortar mix design and product installation instructions. 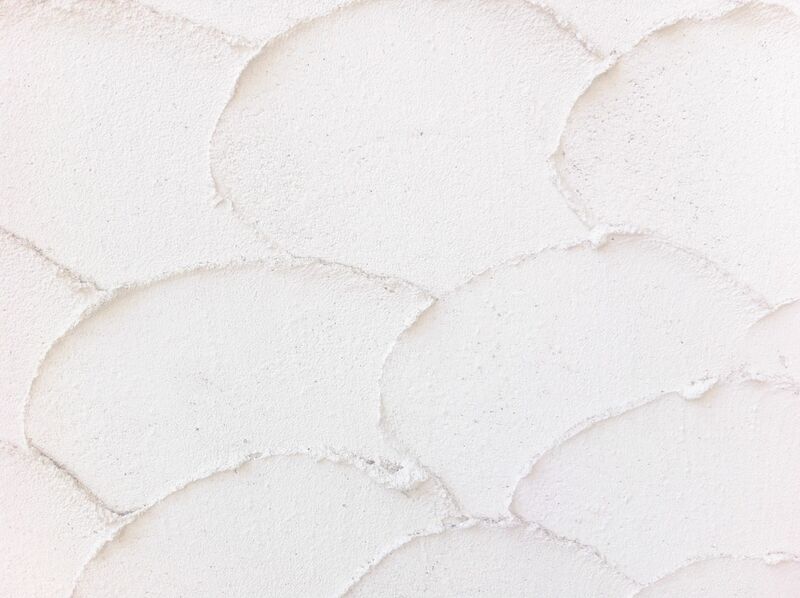 · Stucco Mock-ups. Mock-ups can take one of several forms and are purpose driven depending on the project’s needs. The scope of the mock-up must be predetermined and clearly indicated on the construction documents and be of a scope that is appropriate to a specific project’s needs. Mockups can simply be small sample panels of the desired finish coat texture/color for review and owner selection if that is all that is necessary to confirm. Mockups can be full scale, free-standing partial wall systems to verify the workmanship and joinery of various stucco subassemblies, especially important with more complex joinery sub-assemblies or to coordinate work amongst various trades. Mock-ups can be the first installed work in place, which if acceptable, can be incorporated into the completed work. 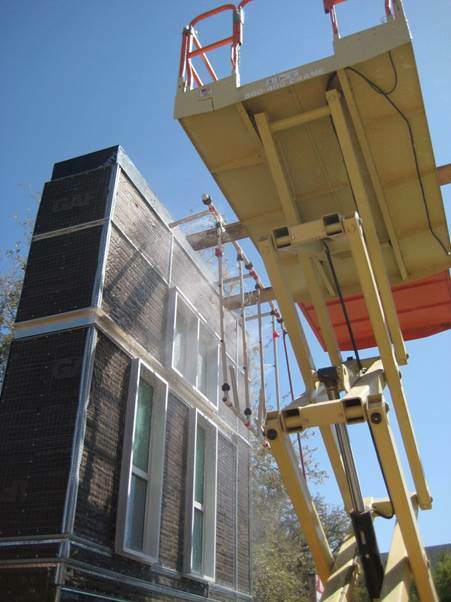 Mock-ups can be useful for air and water performance testing of windows, the window/stucco interface, WRB penetrations and other conditions such as lath fattener shiner repairs. Mockups are best used to resolve coordination challenges, and for particularly complex details, to verify workmanship and to serve as the standard of acceptability for the balance of the work. Shop drawings are in the submittal category are not a commonly specified stucco submittal but their use is increasing. Stucco shop drawings completely describe the detailed requirements and provisions for stucco systems including requirements for staging areas, utilities, clear identification of all locations and conditions receiving stucco on a building, acceptable substrate and environmental requirements, required lath accessories, jointing locations and configurations, mix design and admixtures, installation methods, fastening requirements, required accessories, protection of installed work, testing procedures, evaluation criteria, relationships with adjacent work by others, etc. In other words, all detailed information necessary to acceptably complete the stucco installation for a specific project. 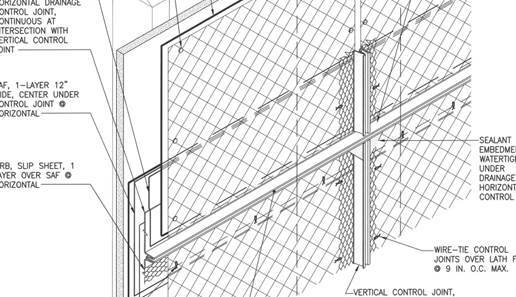 Shop drawings express a level of detail that is necessary to construct the stucco system, at a greater level of detail than the general intent typical of an architect’s 2-dimensional drawings and specifications. Shop drawings are assembly drawings and may include 3-dimensional isometrics, a list of materials and quantities, as well as detailed dimensional requirements and tolerances. Stucco shop drawings provide complete and sufficient detail to clearly describe all aspects of the stucco work to be provided for a specific project. Construction documents prepared by the architect include drawings, details and specifications, but these are only intended to generally convey the architects design intent. They are not sufficient to depict every aspect or condition in detail. Stucco shop drawings complement, and are in addition to the other stucco submittals. 1. Site material, equipment storage, staging and washout areas, lighting, utilities, enclosures etc. 3. Comprehensive building surface drawings showing all locations for the stucco installation and lath accessories: Every wall surface, ceiling and soffit, chimney, penthouse, and blind wall, etc. 5. Details relationships with work by others – windows, doors, louvers, electrical and piping penetrations, WRB, flashings, sealant, SAF, painting and finishing, etc. 14. Mock-up scope and locations for aesthetic or performance evaluations. 16. Potential caveats common to stucco are identified, with evaluation tolerances and corrective repair methods: Efflorescence, cracking, color/texture issues etc. Stucco shop drawings are a communication and coordination tool, benefitting the project by sharing detailed information amongst the project team. Stucco shop drawings benefit the owner by assuring the highest level of communication amongst the project team, pre-identifying conflicts and unanticipated conditions and working out early resolutions. The stucco industry overall is not familiar with the purpose, level of detailing or processing of shop drawings, or currently prepared to produce or manage them, so there is a learning curve, and new skills will be necessary. Consultants are available to provide these if the contractor needs assistance. The shop drawing process is an excellent opportunity for stucco craftsmen to impact a stucco installation and detailing by contributing their specialized trade knowledge and skills to benefit a project by communicating them to the design team, early in the project. 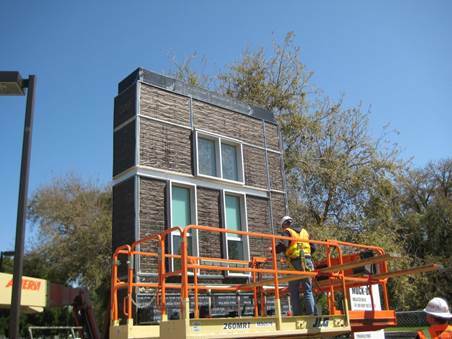 Exterior wall mock-ups including the stucco wall cladding are also commonly used on larger scale projects. Mock-ups are an initial installation of the stucco assembly that often includes most if not all stucco conditions as well as other assemblies – framing, sheathing, jointing, windows, doors, flashings, as well as approved colors and textures. Stucco submittals and shop drawings can be prepared by any entity as determined and coordinated by the general contractor, unless the architect specifies who prepares them. Stucco submittals and shop drawings prepared by the stucco contractor: Stucco contractors are not designers and preparing stucco shop drawings does not necessarily make them designers, unless they change the architects design. If the stucco contractor prepares the submittals and shop drawings exactly following the contract document requirements, there is no design liability to the stucco contractor. Stucco submittals and shop drawings prepared by the general contractor: Where stucco submittals and shop drawings are required contractually, the general contractor can contract to have the entire package prepared separately, even before a stucco contractor is selected. With a complete package of approved stucco submittals and shop drawings, the most competitive bids can be obtained, based on the same detailed scope of work that the submittal and shop drawing documents define and convey. This approach is especially effective for fast track and design-build projects, where the entire exterior wall assembly can be a critical design-build turn-key component to the projects’ advantage to achieve single source responsibility, cost and scheduling efficiencies. A traditional shop drawing and submittal preparation and review process can benefit the project in general and stucco wall cladding systems in particular, in innumerable ways. It is long past due that complete shop drawings and complete submittals become a standard part of the stucco industry process for stucco wall cladding systems. Minimum Standard of Care: Stucco shop drawings are not a requirement for satisfying the Minimum Stucco Standard of Care for stucco, unless specified in construction documents. · The design authority should specify that comprehensive stucco product and installation data submittals and shop drawings be prepared and submitted to the architect for review and approval. Specify qualifications of preparer, whether or not a licensed design professional stamp is required (especially if a design/build process is utilized), and any specific shop drawing required information, such as soldered flashings provided by others be shown on the stucco shop drawings for coordination purposes. Shop drawings should include all the design items indicated on this website, and additional details and information as required to completely install the stucco wall cladding system to comply with project requirements. · The construction authority should prepare and submit complete submittals and shop drawings for stucco work. Indicate requirements for substrate, locations and installation requirements for stucco assembly components, lath accessories and intersections, attachments, interfaces with adjacent assemblies and components. · The design authority should graphically depict and specify a comprehensive stucco mock-up assembly to be constructed by the contracted stucco craftsman that will perform the stucco work to the building, to coordinate the stucco assembly installation and lath accessories, and to evaluate stucco aesthetic characteristics. Include every stucco condition that occurs on the building on the mock-up – substrates, WRB, drainage flashings and screeds, lath accessory splices, intersections and terminations, finish materials, textures and colors, and interfaces between the stucco and adjacent materials and construction. Include the accepted repair process for fastener shiners, and scaffold tieback penetrations, and water test examples of these repairs for water resistivity for quality assurance. Reconstruct the mock-up if not approved, correcting errors as many times as necessary for approval, when the mock-up then serves as a benchmark reference for the actual stucco work to the building. Consultation with licensed and experienced stucco professionals is recommended for stucco-related endeavors. No liability is accepted for any reason or circumstance, specifically including personal or professional negligence, consequential damages or third party claims, based on any legal theory, from the use, misuse or reliance upon information presented or in any way connected with StuccoMetrics.com.